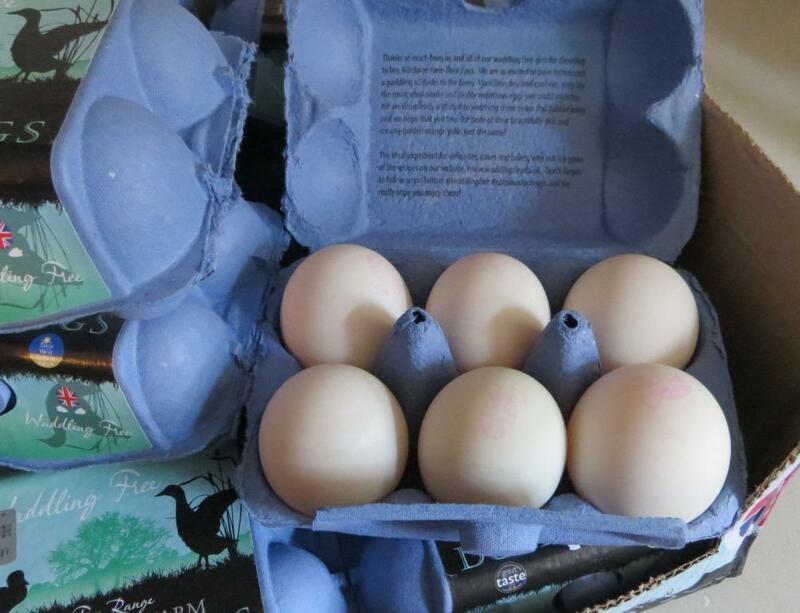 They’re especially welcome as our own hens are now starting their autumn moult and going off lay. But still – six dozen is a lot, and they’re so much nicer when they’re spanking fresh, so we’re sharing our luck with friends and family. 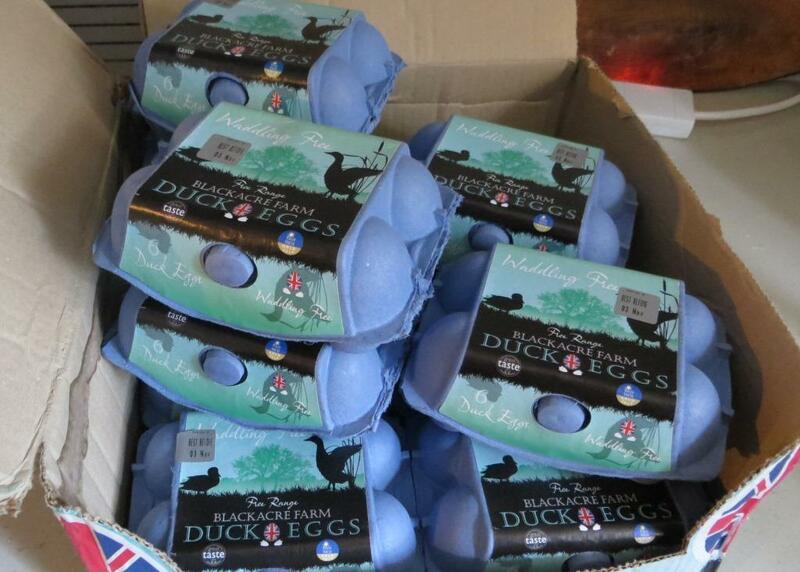 Duck eggs are particularly good for cake making, so, inspired by the Great British Bake Off, we might make a cake or two. And of course quiches for the grandchildren. And we fancied making some ginger ice-cream for Christmas. 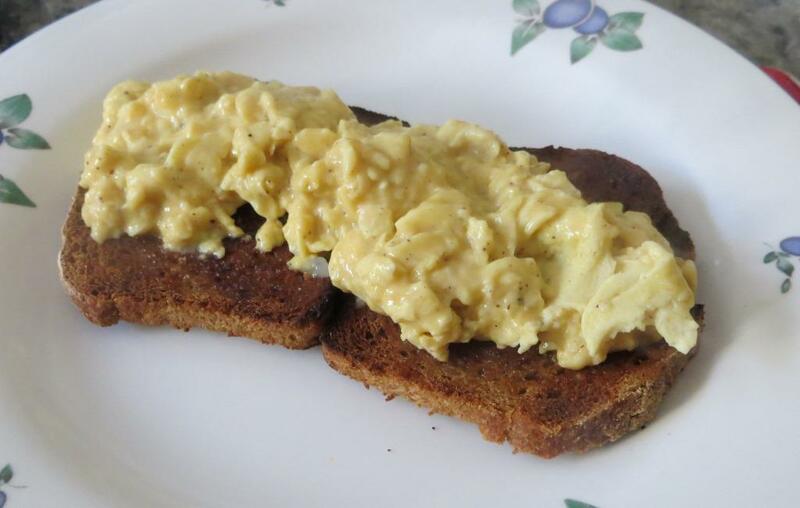 So, just to prove the point, breakfast today was scrambled Waddling Free duck eggs on home-made sourdough toast. Simple and delicious! Special thanks to Blackacre Farm. Much appreciated! 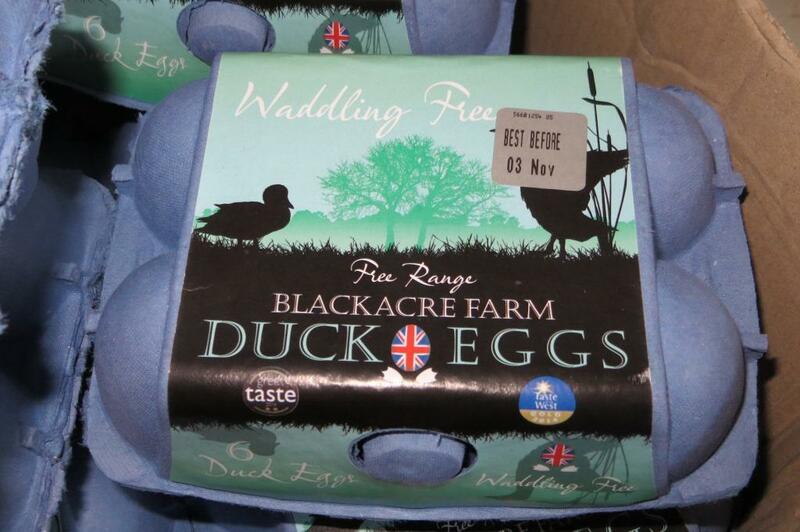 This entry was posted in Cooking, Poultry, Uncategorized and tagged Blackacre Farm, cooking with duck eggs, Waddling Free duck eggs. Bookmark the permalink.